2016 Parade of Homes winner beautifully situated on one of the best view lots in Corrales. Other awards include best kitchen and master bathroom. 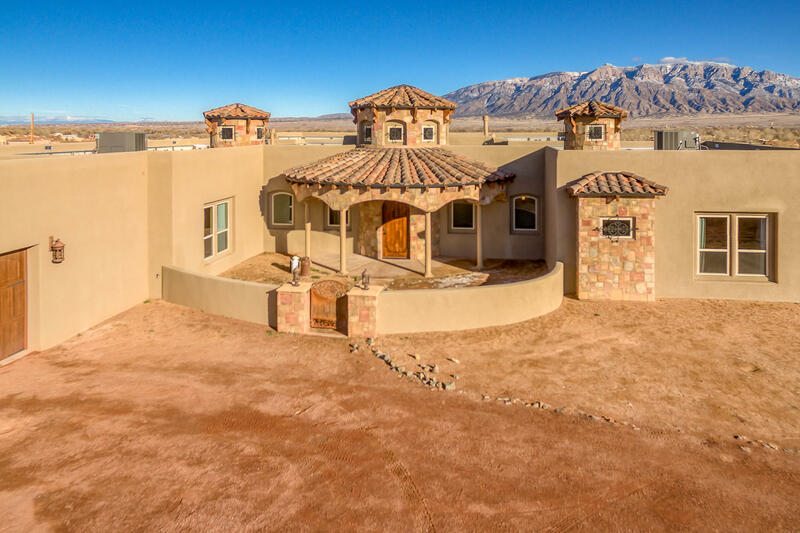 This home offers million dollar unobstructed views of the majestic Sandia mountains and the privacy of backing to open space. Very well appointed with high end features such as Thermador Professional series appliances, Travertine flooring throughout, custom Alder wood cabinets, 12ft beamed ceilings in living room an 10ft throughout the rest of the home. Italian tile oven backsplash, Solid stone farm sink, outdoor kitchen with fireplace, thermal double pane low-e windows, oversized 3 car garage with workshop, Liberty safe, and stand alone compressor.